Is Posting Jobs On LinkedIn Worth It? This is a very common question that we get and something that we wanted to write a blog about because there’s not an easy answer to this question. We’re going to focus more on LinkedIn because LinkedIn is certainly unique from other job boards. LinkedIn has, over the past decade, become a predominant figure in the recruiting and job seeking world. Therefore, there certainly are a high level of candidates and jobs available on LinkedIn. LinkedIn has made a lot of money out of monetizing their social network to connect job seekers and employers. LinkedIn is similar to other job boards in the sense that companies can pay a fee to post their jobs on LinkedIn, and then potential job seekers can easily submit an application for the job. 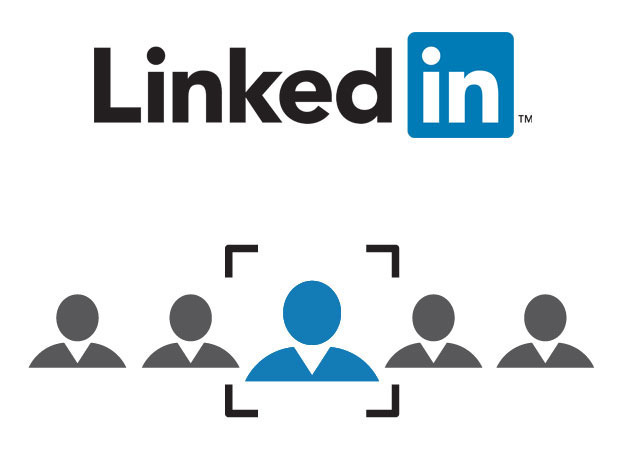 What makes LinkedIn unique is that it is also built around a social network. Therefore, it has a centralized network of millions of people. LinkedIn’s network of candidates and job seekers in one place certainly is superior to the other job boards out there. So, is posting jobs on LinkedIn worth it? There is no simple answer to this question. As my question in response is always going to be: What kind of jobs are we talking about? Some jobs are more effective to post on LinkedIn than others. It really widely varies. It also depends on the geography of your company and other factors, including your company’s social presence, employer brand, industry, and type of business. In general, LinkedIn can be a valuable tool to both promote your employer brand, your company, and post jobs. The question of, is it worth it or not, is not a simple one. It is going to need to be measured on a case to case basis. Posting jobs on LinkedIn needs to be treated like any other marketing channel where ROI, or return on investment, needs to be tracked over time in order to really decide if it’s worth it? There is a certain amount of money you will spend posting jobs. You’ll have to come up with a decision yourself if LinkedIn provides the adequate amount of candidates for you to justify using the service. One thing many of our clients complain about when it comes to posting jobs on LinkedIn is the same complaint we hear when it comes to posting on other job boards. That is that LinkedIn will attract a high volume of applicants and resumes, but the vast majority of them, 98% or higher, will be poor quality. It’s very likely you will end up having someone on your team spend a lot of time looking at resumes that are not a good fit for your job. This can end up being a time sucker as well, and this needs to be factored into your return on investment. The quality of resumes that LinkedIn brings in will have a lot to do with your industry, and/or the type of job you’re looking for. Technical roles tend to not be the best roles to post on LinkedIn, although, they can be successful in certain markets. Marketing and Sales jobs tend to attract more people on LinkedIn, but depending how specific or niche your needs are, it may be challenging to hone in on the right people. One critical thing to remember at the end of the day is that with LinkedIn, just like other job boards, you’re only going to be attracting active talent. You will only be attracting people who are out there looking for a job. This is mostly going to be people that are currently unemployed, are freelancers, are in between jobs for some other reason, and a very small portion of them will be people with jobs who are looking to make a move. The point is that at the end of the day, just about 99% of the people who apply are active job seekers. They have to be active, given they are applying for your job. The active job market is just the tip of the iceberg and tends to not be where the best talent is. That isn’t to say that there isn’t good talent in the active talent pool because there is, but they are more rare than the less than average talent in the active pool. Where the real good talent lies is in the passive talent pool. LinkedIn is not able to tap into that passive talent pool. So far, no technology has been able to take the place of what a human being recruiter can do when it comes to networking and leveraging relationships to tap into the passive talent market. The passive talent market is where you find the best talent, especially when you can get targeted to go after your competition, or certain people, or certain industry leaders. If you are a high growth company and you are serious about hiring the best talent in the market, you must have a proactive head hunting and recruiting strategy to tap into the passive talent market. With that said, LinkedIn and other job boards will always be supplemental. Are they good as supplements? Yes, they are good as supplements. But they should never be relied on to find the best talent in the market. Again, if you are interested in hiring the best talent in the market, you must find a way to tap into the passive talent pool. You have to either hire a recruiter on your team to do that head hunting, or you need to apply your outside vendors to do that work on your behalf. Head hunting into the passive talent market takes massive volume and an attention to detail. You need to make sure you have someone on your side doing this. This is the only way to do this. Is posting jobs on LinkedIn worth it? By itself? Never. Job boards and LinkedIn will never be worth it on their own. They are worth it as supplements to their outbound proactive recruiting strategy that’s going to tap into the passive talent market. We hope this blog was useful. Good luck!